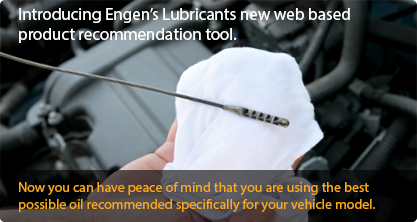 The Engen Oil Centre is an approved distributor of Engen and PETRONAS branded lubricants. They are set up in the metropolitan areas and are ideally situated to service small and medium-sized lubricant customers. The Engen Oil Centre markets and distributes both Engen and PETRONAS branded lubricants together with related products such as lubricant storage and dispensing equipment, spill containment kits and garage equipment. The Engen Oil Centre is owned by local, service-orientated entrepreneurs with a strong customer-service focus. At The Engen Oil Centre the quality and standards of service, combined with the standards of customer relationships, are key success factors. Consumers will find that The Engen Oil Centre provides both convenience and efficiency - a comprehensive range of products and services available at high-quality facilities. Use our comprehensive selector to optimize your oil choice. With our lubricant selector tool you can see what oil is best for you,Retail,Commercial,Agriculture and Off-Highway. 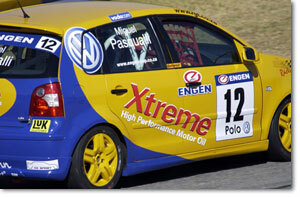 Motorsport remains the most natural “Brand fit” sponsorship..
See how we are involved on developing motorsport in South Africa. 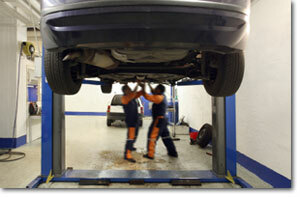 • Access to two respected and recognised Lubricants brands namely Engen and PETRONAS. • A wide range of guaranteed quality lubricants ranging from cost effective solutions to top tier synthetics, meeting the required specification levels of any customer application. • Product recommendations supported by Engen's Technical services division • A flexible and responsive delivery service designed to meet the needs of the small to medium business sector.